Sidewinder off road styled wheels by Black Rhino. The Sidewinder is a tough multi-spoke off road wheel which has smooth curves jetting forward to grab the outer wheel and accented with heavy duty rivets. 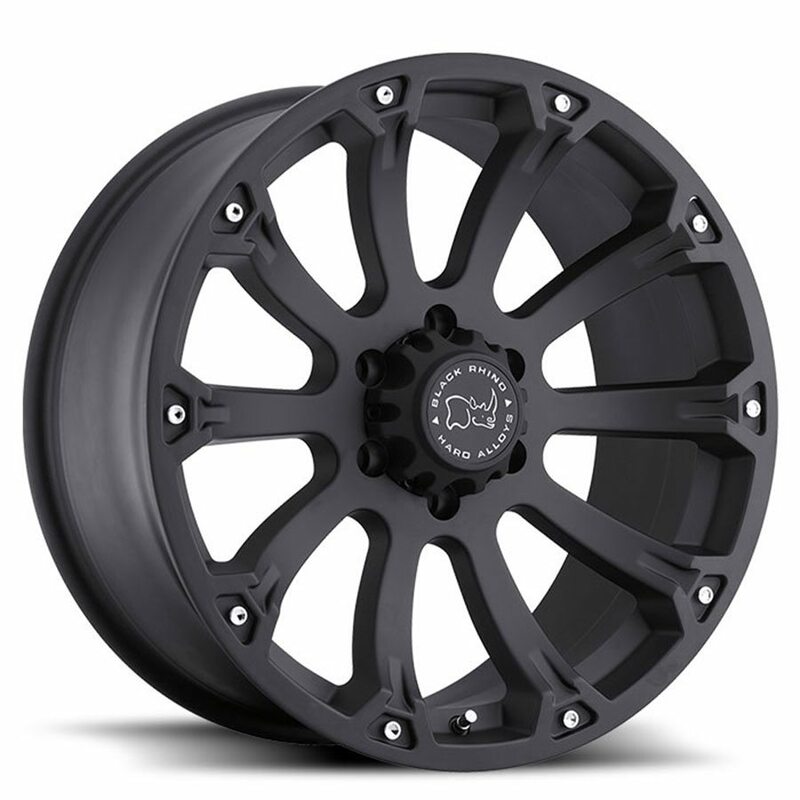 The SIDEWINDER was designed in solid Matte Black to enhance the look of your stock or lifted truck. These off road wheels are available in 17×9”,18×9”,20×9”, with offsets ranging from +12mm, 00mm, -12mm. Each wheel is engineered to carry the heavy loads often associated with Trucks and SUV’s. All wheels are either hub-centric or supplied with centering rings to ensure a smooth vibration free ride. Each wheel is engineered to carry the heavy loads often associated with Trucks and SUV’s. All wheels are either hub-centric or supplied with centering rings to ensure a smooth vibration free ride. SIDEWINDER off road wheels by Black Rhino.